14.10.2015 in The X-Files Kausi 3. Scully: I was so sure, Mulder. I saw things and I heard things, and… it was just like world was turned upside down. Everybody was out to get me. Mulder: Now you know how I feel most of the time. 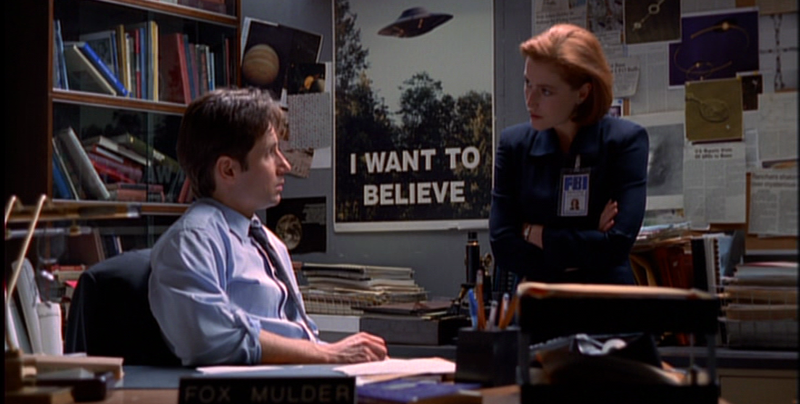 13.10.2015 in The X-Files Kausi 3. 12.10.2015 in The X-Files Kausi 3. Scully: Business is booming. Mulder: I think you mean banging. 11.10.2015 in The X-Files Kausi 3. Scully: Do you know how much the human body is worth, Mulder? Mulder: Depends on the body.